De-cluttering Peer Support Group – this is a closed support group for individuals who are concerned about their clutter. Please contact Natasha Naim at 617-625-6600, ext. 2300 if you are interested in attending. Free Smoke Alarm / Carbon Monoxide Detectors – Starting April 1st – The Somerville Council on Aging, The Health & Human Services Department partnering with The Somerville Fire Department are offering free smoke alarm / carbon monoxide detectors (they are one unit) to Somerville older adults and residents with a wide range of disabilities. To qualify you must be an older adult, 60 years of age or older, and live in Somerville (own or rent) or a Somerville resident with a disability (Photoelectric Alarms with ADA Compliant Strobe Light are available.) There is a brief application that will need to be filled out, signed and returned. 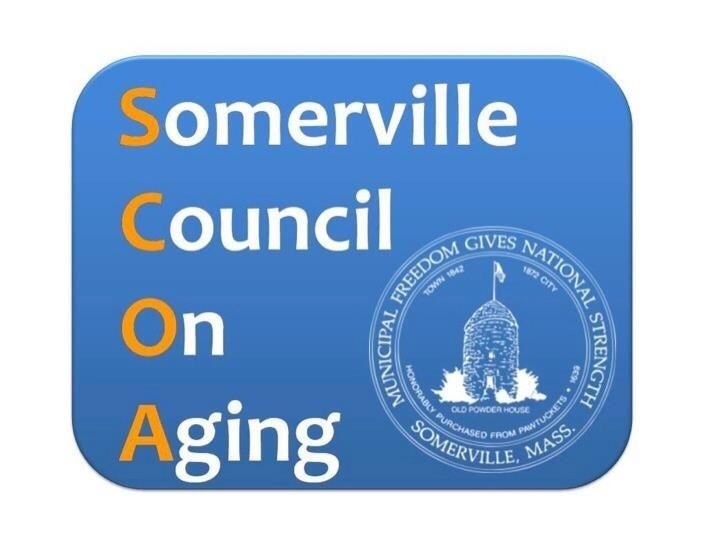 Please contact Maureen Bastardi, Outreach Worker at the Somerville Council on Aging, at 617-625-6600, ext. 2300 to request an application. This program is on a first come / first serve basis. This is a Federally funded grant and services will be provided until the grant is exhausted. Free Groceries Every Month? You may be eligible for the Commodity Supplemental Food Program! CSFP is a once a month food distribution for individuals 60 years of age or older. You may be eligible to receive two free bags on food once a month containing healthy shelf stable products. Proof of identity and age are all that is required to apply. For more information or to apply please call 617-625-6600, ext. 2300 – applications are available at the front desk of our Holland Street Center. Forming Friendships – Wednesdays starting July 6th, July 13th, July 20th & July 27th – 11:30 A.M. to 12:30 P.M. at our Holland Street Center. Feeling lonely lately? Looking to meet new people? If so, this 4-week social group is for you. To register or if you have any questions, please call Natasha Naim at 617-625-6600, ext. 2300. Social Service Drop In Hours – Monday, July 11th at our Cross Street Center located at 165 Broadway – 10:00 to 11:30 A.M. with social worker Natasha Naim. No appointment needed. Vine to Wine Tour! – Monday, July 11th – Departing at 8:30 A.M. with an approximate return time of 6:30 P.M. – $79 fee will include luxury Silver Fox Coach transportation, Yankee Candle Store, Lunch at Chandler’s Restaurant (choice: baked haddock, vegetable lasagna or roasted turkey / all served with salad, beverage and dessert) – After lunch travel to Honora Vineyards, Putney Mountain Winery, and much more. Please call 617-625-6600, ext. 2300 to reserve your spot or if you have any questions. Somerville Home Loan Program – Tuesday, July 26th – 10:00 to 11:30 A.M. at our Holland Street Center. Are you a Somerville homeowner and are you thinking about making repairs to your house? Join us and learn more about programs the City of Somerville offers to help you keep your property up to date and looking great! Presented by Vicki Wairi from OSPCD. Call 617-625-6600, ext. 2300 and ask for Natasha. The Norman Rockwell Museum & Parker’s Maple Barn – Tuesday, August 16th – A fee of $80 includes roundtrip motor coach transportation, admission to Norman Rockwell Museum, lunch at Parker’s Maple Barn Restaurant. For additional information or to reserve your spot please contact Connie at 617-625-6600, ext. 2300. Twin River Casino – Monday, August 29th – Departing our Holland Street Center at 9:30 A.M. and our Ralph & Jenny Center at 9:45 A.M. with an approximate return time of 7:00 P.M. – $20 fee includes motorcoach transportation and a yet to be determined package. For more information please contact Connie at 617-625-6600, ext. 2300. Tampa & Orlando – Monday to Monday, September 12th to 19th – 8 days & 7 nights – A fee of $1099 / pp double or $1435 / pp single includes deluxe motor coach transportation with 2 nights stopover accommodations en route, 2 nights in beautiful Tampa, 3 nights in exciting Orlando, 5 sumptuous dinners, 3 day Disney Park Hopper Pass includes The Magic Kingdom, Epcot, Animal Kingdom, MGM and so much more. Please contact Connie at 617-625-6600, ext. 2300 for additional information or to reserve your spot. Hart’s Turkey Train – Tuesday, October 25th – Departing Holland Street at 7:00 A.M. and the Ralph & Jenny Center at 7:15 A.M. with an approximate return time of 4:00 P.M. – $63 fee includes transportation and lunch. Please contact Connie at 617-625-6600, ext. 2300 to reserve your spot or if you should have any questions. Cape Cod Cranberry Days – Monday & Tuesday, November 28th & 29th – 2 days / 1 night – For a fee of $195 / pp double and $225 pp single this trip includes roundtrip motor coach transportation, 1 night deluxe accommodation, 1 breakfast, 1 dinner and several guided tours including The Cranberry Harvest Experience, Sandwich Village Glass Museum, Chatham Village and Plymouth Winery just to name a few. Please contact Connie at 617-625-6600, ext. 2300 for more information or to reserve your spot. LGBTQ Advisory Group –This group meets the 2nd Monday of every month excluding City Holidays and snow emergencies. 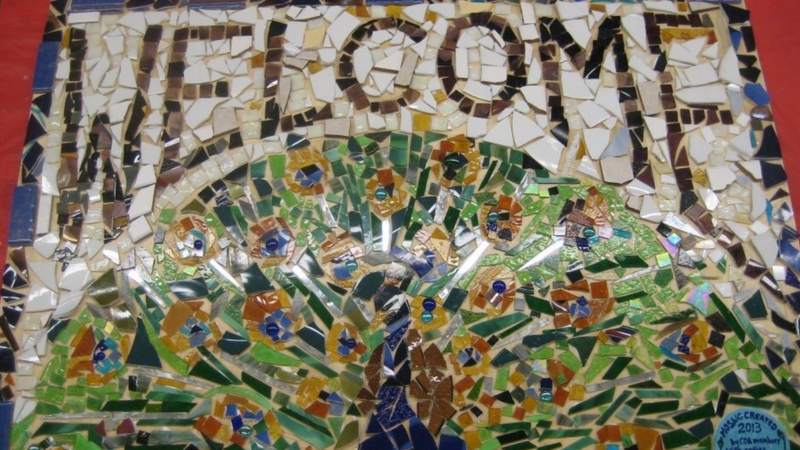 Our next meeting will be on Monday, September 12th at 4:30 P.M. in the conference room of our Holland Street Center located at 167 Holland Street. We are always looking for new members who would like to serve on the Advisory Group. Please call 617-625-6600, ext. 2300 if you have any questions or if you should need additional information. One-on-one nutrition is on hiatus until further notice. Please note all centers are closed on Monday, July 4th in honor of Independence Day. Do you know someone who could benefit from a friendly call? Maybe you are feeling isolated and want someone to talk to – or you just want someone to listen. Please call Natasha at 617-625-6600 ext. 2300 to sign up for our “Friendly Caller” Program. The day trip to Tanglewood scheduled for Sunday, July 10th is SOLD OUT. The luncheon at the WHYC scheduled for Thursday, July 14th is SOLD OUT. The BBQ at the Ralph & Jenny Center scheduled for Monday, July 18th is SOLD OUT. The day trip to Revere Beach scheduled for Friday, July 22nd is BOOKED. The day trip to Mohegan Sun scheduled for Monday, July 25th is SOLD OUT. The Gloucester Harbor Cruise / Lobsterbake day trip scheduled for Thursday, July 28th is SOLD OUT. The Lowell Spinners outing scheduled for Wednesday, August 10th is SOLD OUT. The day trip to Castle Island scheduled for Friday, August 12th is BOOKED. The BBQ at the WHYC scheduled for Monday, August 22nd is SOLD OUT. The trip to Lancaster, PA & Atlantic City scheduled for October 11th -15th (Tuesday to Saturday) is SOLD OUT. The Weekend gateway to NYC scheduled for Saturday & Sunday, November 5th & 6th is SOLD OUT. The Indian Head trip scheduled for December 6th, 7th and 8th (Tuesday, Wednesday and Thursday) is BOOK SOLID. Caregiver Support Group – Meets the third Tuesday of each month from 6:00 to 7:30 P.M. Our Social Worker, Natasha Naim, facilitates this group. Are you caring for a parent, relative, spouse or close friend? Feeling isolated or overwhelmed? You are not alone! Come share your experience and practical support. Open to all and new members are always welcome. If you are interested in joining, have any questions or require additional information please call 617-625-6600 Ext. 2300 and ask to speak to Natasha. Current Events Group – Meets every Thursday from 10:00 to 11:00 A.M. Our Social Worker, Natasha Naim, facilitates this group. Join a group of your peers to discuss current events. Please call Natasha at 617-625-6600 Ext. 2300 for additional information or if you have any questions. Book Club – Meets the third Friday of each month from 10:00 to 11:30 A.M. This group self facilitates. Group members choose both fiction and non-fiction titles on a quarterly basis. Books are available on reserve at the Central Branch of the Somerville Library. Please call 617-625-6600, ext. 2300 if additional information is needed. Gardening Club – Meets the second Monday of each month starting at 9:00 A.M. and running for an hour most times. Our volunteer, Vilma Sullivan, facilitates this group. A different topic each month ranging from gardening tips & secrets to inexpensive “greenhouses.” Call 617-625-6600, ext. 2300 if additional information is needed. The Moonlighters – Meets every Monday at 10:30 A.M. and runs September through June. Led by Somerville Youth Arts Coordinator, Jimmy DelPonte, the Moonlighters are an older version of the SunSetters. If you like to sing then this group is for you. Sometimes taking their skills on the road. Contact our main office at 617-625-6600 Ext. 2300 if you should require additional information. Senior Housing 101 –Meets the last Tuesday of every month from 10:00 to 11:30 A.M. Social Worker, Natasha Naim will be facilitating this group. Participants can learn about the range of options that older adults have when thinking about where to live. Please call Natasha at 617-625-6600 ext. 2317 to sign up! English Conversation – Meets every Monday, Tuesday & Thursday beginning at 10 a.m. at our Cross Street Center located at 165 Broadway. Maureen Bastardi, Projects Manager and Sandy Francis, Cross Street Center Volunteer, work together to facilitate this group. No books, no tests, no stress – just a great group of older adults from all over the world who help each other to listen, speak and learn English. Continue conversation throughout a healthy lunch. Mondays & Tuesdays – 8:30 A.M. to 12:30 P.M.
Monday through Thursday 9:00 A.M. – 2:30 P.M.
You can receive our monthly newsletter that is always filled with useful and important information. For a $5.00 yearly fee, you can receive it via the U.S. Postal service or a free version can be sent electronically. Please contact Connie at 617-625-6600 Ext. 2300 to sign up.